Partnership Program PJSC “MTB BANK” and PE "FIL DENT"
Partnership Program with insurance сompany "INTO"
Partnership program of PJSC "MTB BANK" and PE "FIL DENT"
The golden mean i.e. the most necessary banking products and services offered for the clients- individuals. We will issue you the card with the 24h access to the funds deposited in your banking account from any place in the world, control the flow of funds, accumulate the savings, perform mutual settlements. 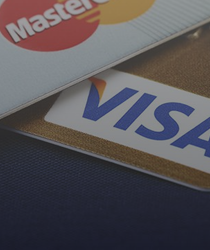 Connection of the the card to the GPay service already available for the payment system Visa and MasterCard. The validity period of the package (that is, all the preferential rates included in the package) is 12 months from the date of connection. After the expiration of the package, the client is transferred to standard terms of service or is connected to a new pricing package which is available for this category of customers. Conditions that are not included in the package offer are paid according to the Bank's standard rates. Your request has been submitted for review. You will get an answer soon. © 2001 - 2019 PJSC "MTB Bank"